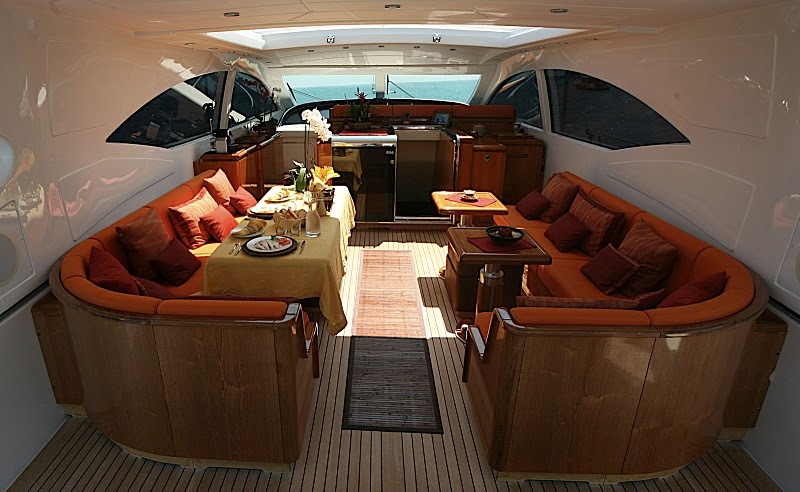 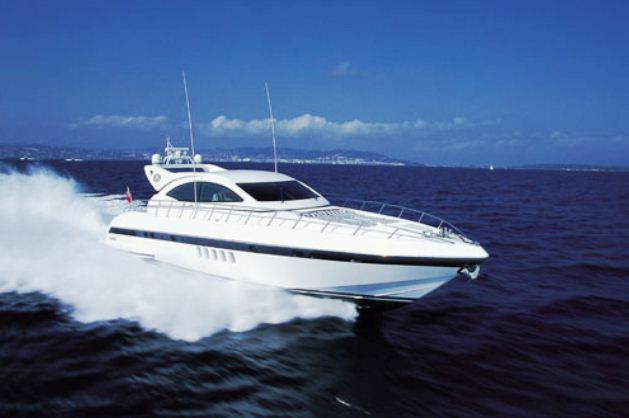 Motor yacht ASPRA 38 has a rich deluxe styled interior with warm high gloss wood panels, beautifully finished wood floors and high quality fittings. 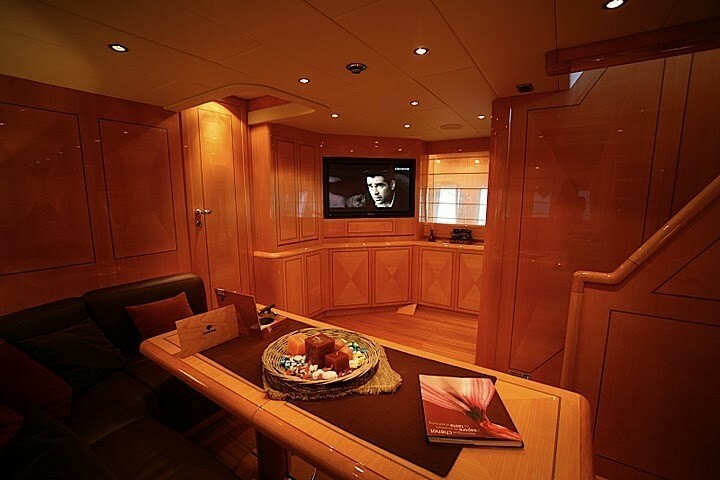 The main salon is below decks and features a large U shaped chocolate brown leather sofa with formal adjustable dining table, a full state of the art visual and audio system ensures optimum entertainment. 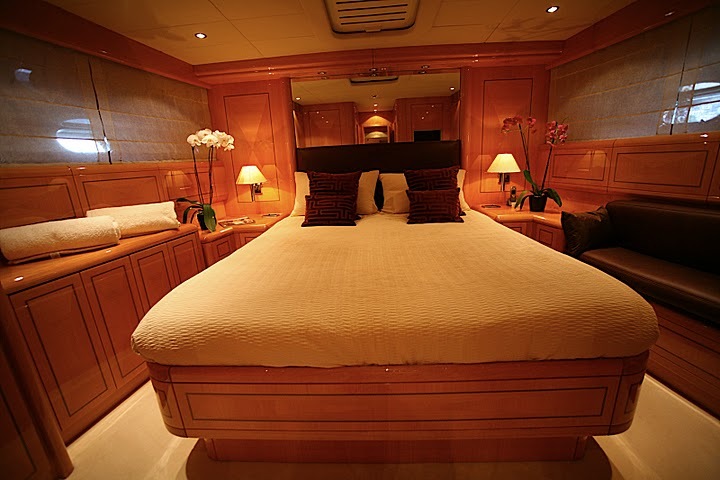 Guest accommodation is fore and aft of the salon. 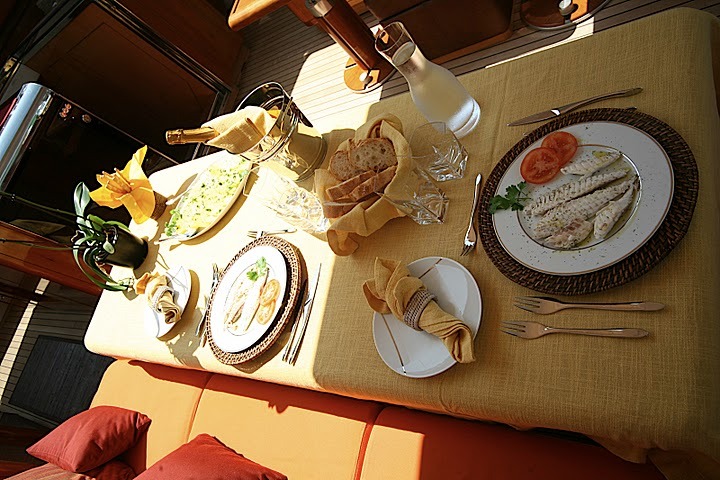 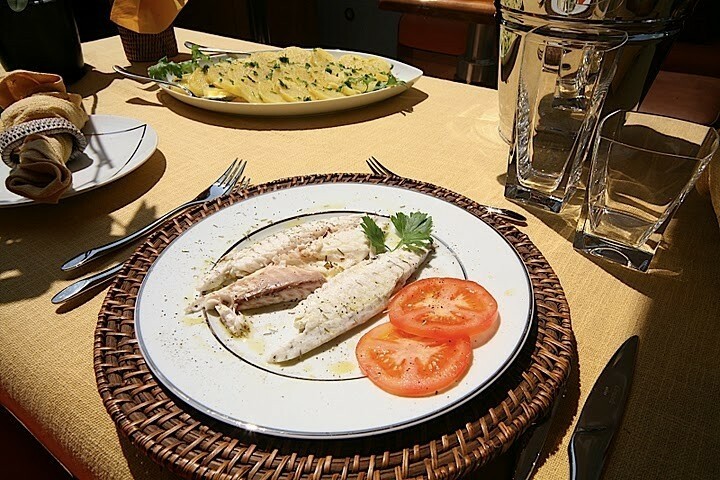 On the main deck, motor yacht ASPRA 38 has a second salon and alternative alfresco dining option boasting 2 tables, ample seating and a retractable roof. 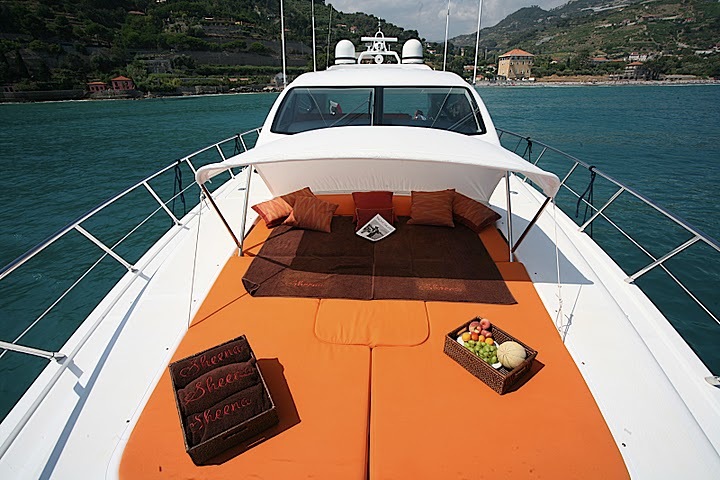 Guests wishing to relax in the sun can do so on the triple sunpad on the aft deck, or opt for the double sunpad on the foredeck, this sunpad also offers a Bimini cover making it the perfect intimate escape. 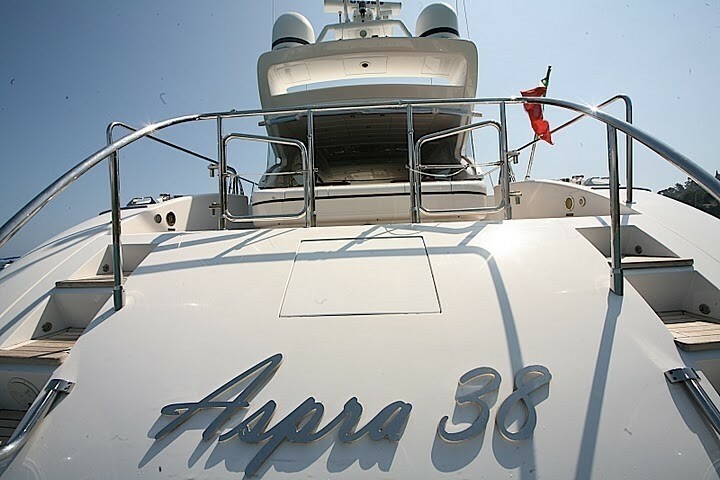 Charter yacht ASPRA 38 has a good selection of water toys available including a Zodiac tender, wake board, water skis, towing donut and features an extended swim platform to effortlessly enjoy them from. M/Y ASPRA 38 is powered by 2 MAN 1550HP engines and is able to achieve comfortable cruising speeds of 32 knots and top speeds of 35 knots. 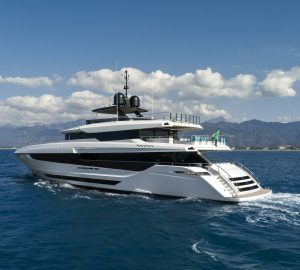 Luxury Mangusta charter yacht ASPRA 38 offers 2 double and one twin cabin with an optional Pullman berth, all 3 cabins have en-suite facilities. 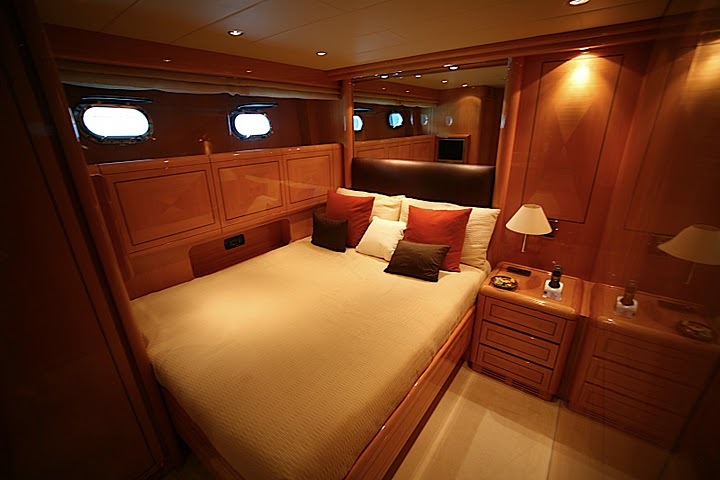 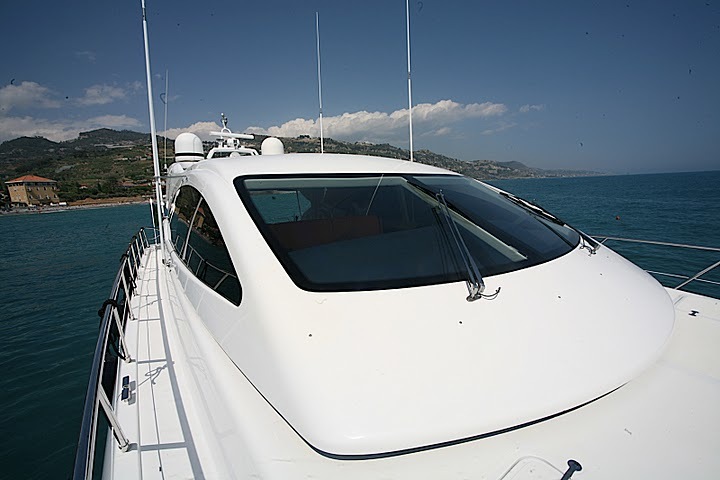 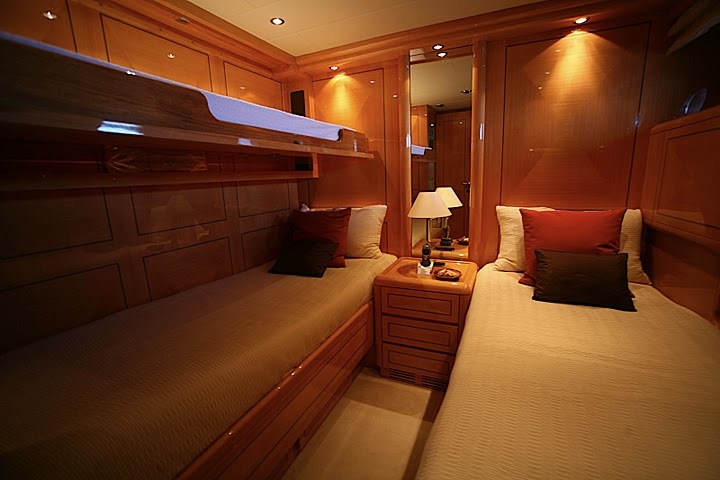 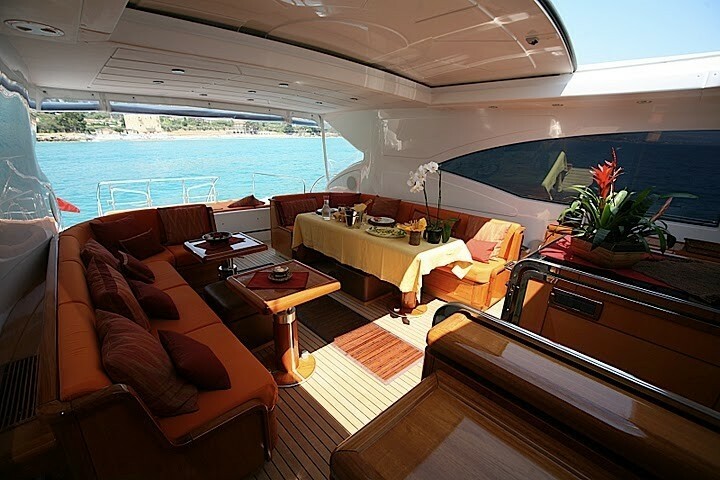 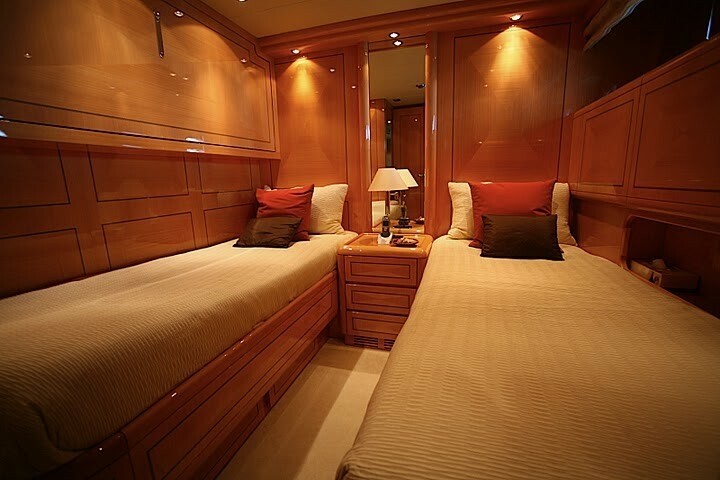 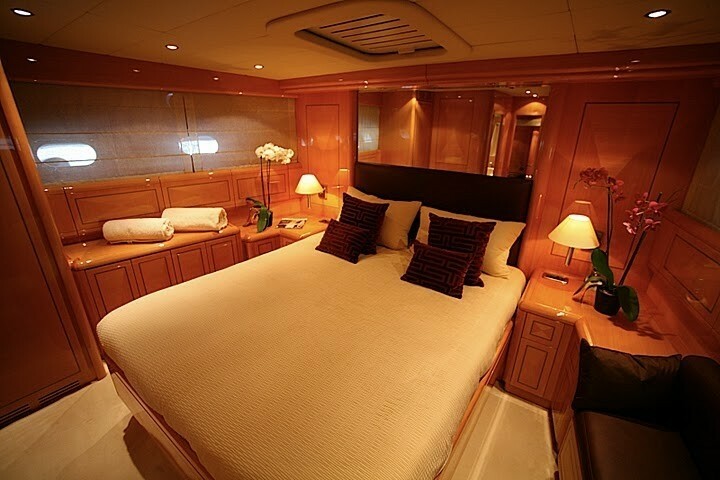 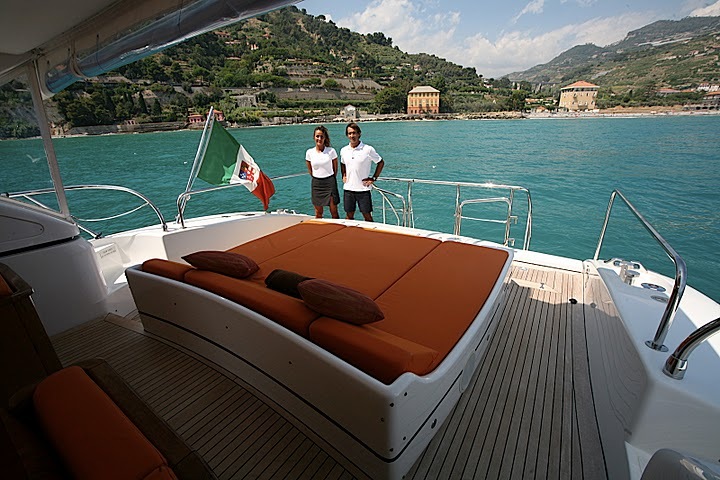 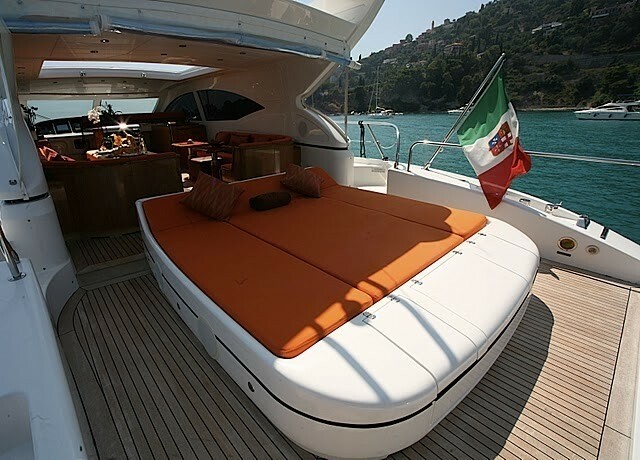 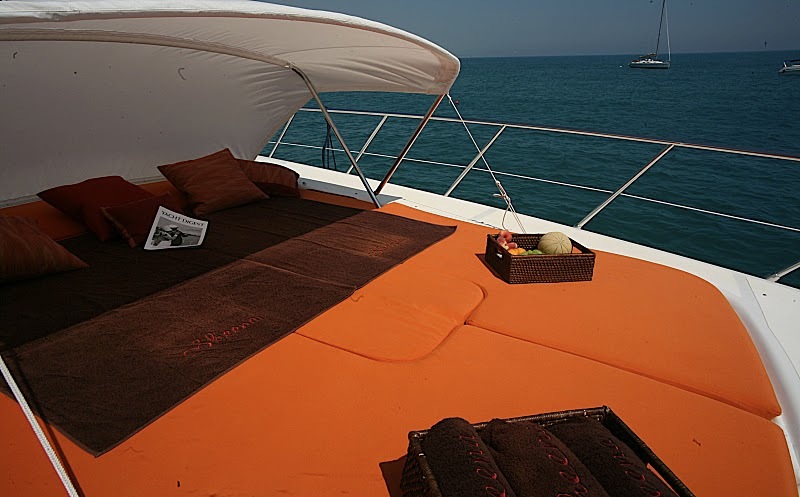 The master stateroom is forward of the salon and full beam of the yacht with a vanity and love seat. 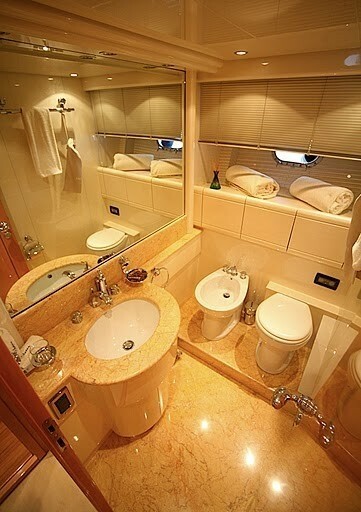 Two further guest cabins are aft of the salon, one with a double bed and the other with 2 side by side single beds and an upper Pullman berth. 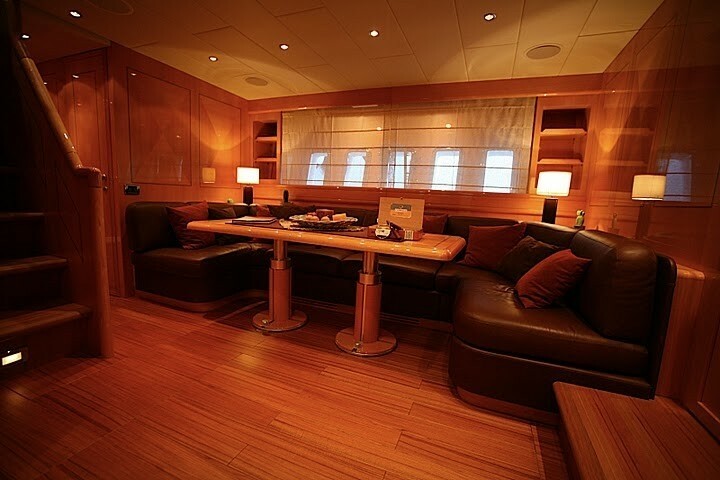 A neutral décor boasts a serene and relaxing ambiance in each cabin.